When you are a patient with us at Dental Care Center at Kennestone, we want every visit to be comfortable and convenient. 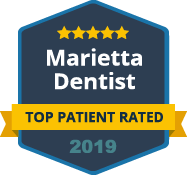 We take caring for our patients seriously, going above and beyond to ensure that you feel at ease while we provide excellent dental care for your smile. We understand that many people dread dental appointments. 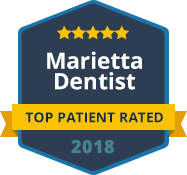 Our dentist office in Marietta is designed to make your visits comfortable and enjoyable to help you relax. To help improve your dental experience at our office, we start with treating you like family. We like to get to know our patients on a personal level to customize the care they receive. Our team will do their best to accommodate your needs and preferences to ensure you feel at home when you visit our office. We strive to meet your scheduling needs and make it stress-free to utilize your insurance benefits while providing friendly customer service. You will notice a difference in our level of patient care when you find yourself in one of our dental chairs. We want you to sit back and relax while we care for your oral health. Snuggle up under a warm blanket and enjoy the complimentary Wi-Fi that we provide for your enjoyment. Our team will make sure you feel comfortable throughout your visit. Just let us know if there is anything you need to make your experience more enjoyable. We understand that for some people, dental treatments can cause anxiety. When friendly care and comfort amenities are not enough to relax you, we have sedation options to ease your anxiety. We offer nitrous oxide, oral conscious sedation and IV sedation for our patients that prefer extra medication to ease their stress during treatments at our office. Welcome to Dental Care Center at Kennestone, a place for you to get excellent dental care in a friendly, comfortable atmosphere. Contact us to book your first appointment today.